Did you know that 2016 is officially the year of the “Staycation.” Many BC Residents are opting to shop local for their vacation needs capitalizing on the amazing scenery and attractions that are in our own backyard! So we decided to “hop on board” with BC Transit and their #ExploreBCByBus campaign. The first city we were able to explore literally was in our own backyard… ABBOTSFORD! 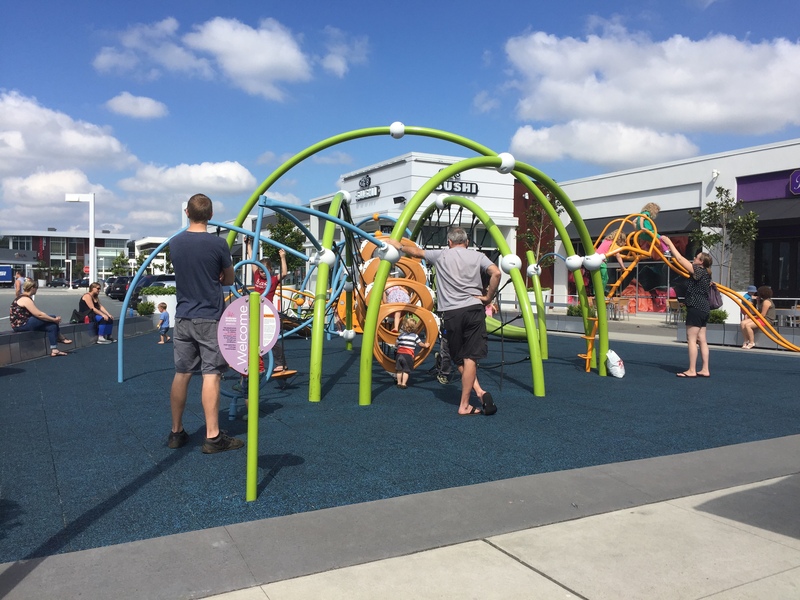 Abbotsford is a mecca for family adventure whether you’re looking to go berry picking at a farm, go bird watching at Mill Lake Park, hang out at water park, or head indoors for playtime… the options are endless! Our day started off at Highstreet Mall where we were able to stock up on snacks and run off some energy at the beautiful playground. After a few rounds on the monkey bars it was time to head over to the bus stop to await our ride! 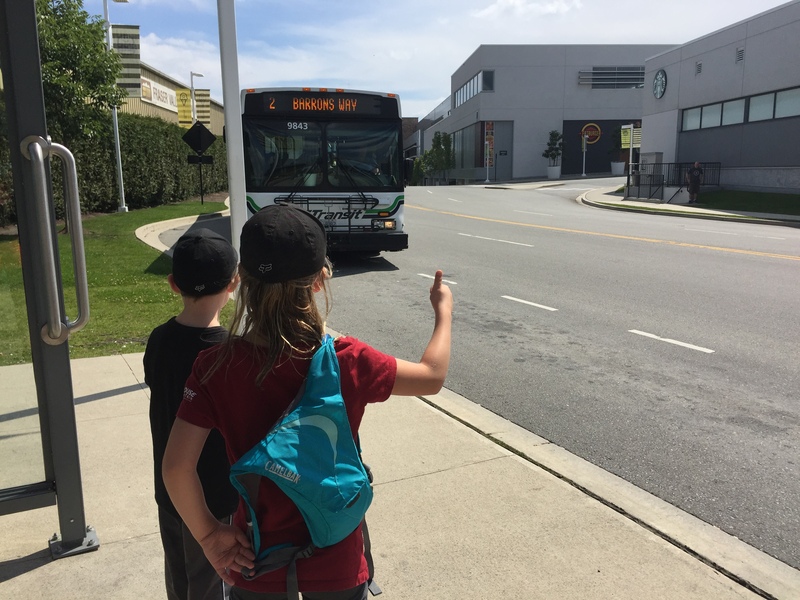 The kids thought that the way to catch a bus was by putting out your thumb (also known as hitchhiking!) however I figured I liked their version a lot more so I left it as is! Mom, why don’t we have to wear seat belts on a bus? Why can’t we eat on the bus. Why don’t buses have music? How does the bus man know when to come and pick us up? We were dropped off at the top of the hill right behind Castle Fun Park and the kids practically ran the whole way to the park. One through the doors they were on information overload as their eyes scanned the landscape and they laid out their plan of attack! 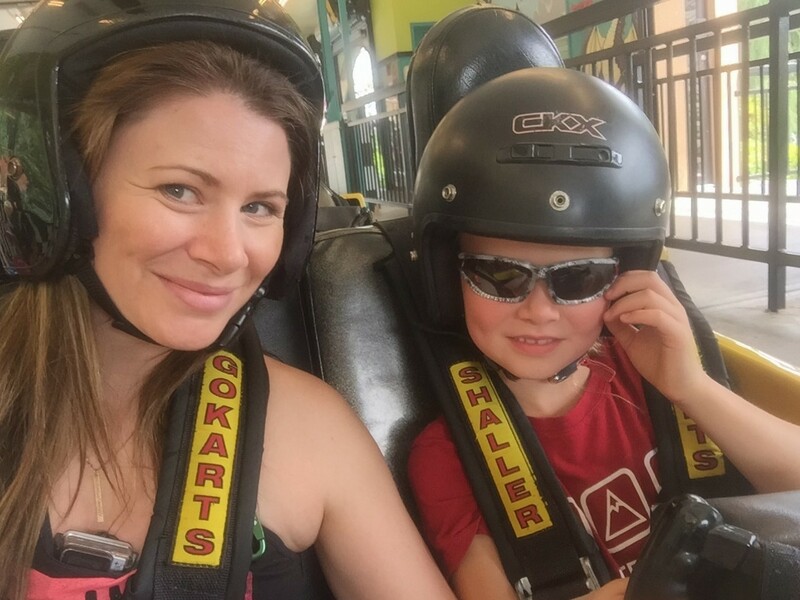 We started off with the popular bumper cars, where my youngest was thrilled to actually be able to drive (or rather crash) into myself and his sister! Next stop was the go carts, where the kids took turn riding the passenger seats and I got a little competitive and tried to pass my 12 year old competitors on the track. Then we were off for a mix of the laser room, batting cages arcade games, and more. The kids ran from attraction to attraction to the point where I HAD to make them stop for a drink and snack before they physically passed out from excitement! One of the highlights of our visit was the arcade where on our FIRST game we hit the jackpot winning 500 tickets! Needless to say we got to buy more goodies at the prize center! After our day of adventure filled fun at Castle Fun Park it was time to meet up again with the “Busman” and head off for lunch! 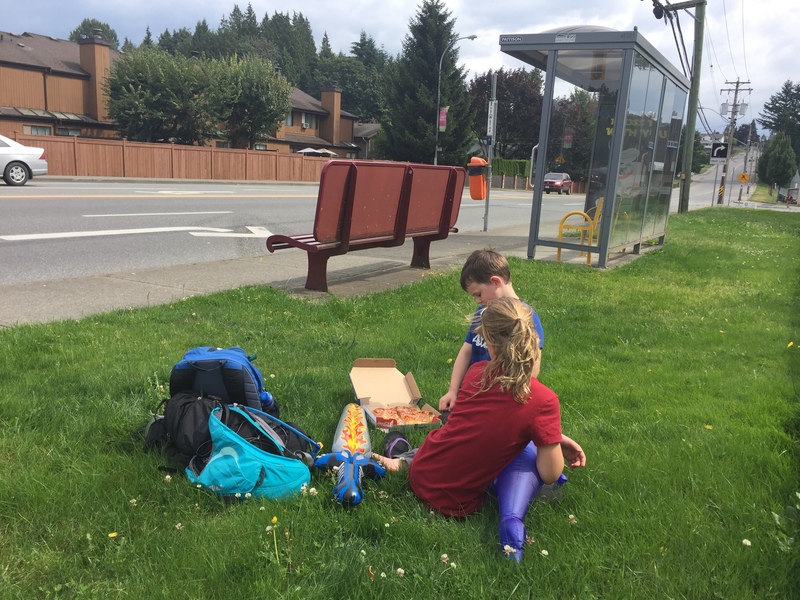 We quickly grabbed Domino’s Pizza (a Peanut Free Safe Family treat) and then headed off to Project Climbing for an afternoon of Indoor Rock Climbing! We were greeted by the owner, Brock who welcomed us and got us geared up for our lesson. Trent was excited to meet the kids and teach them the ropes of this new sport! 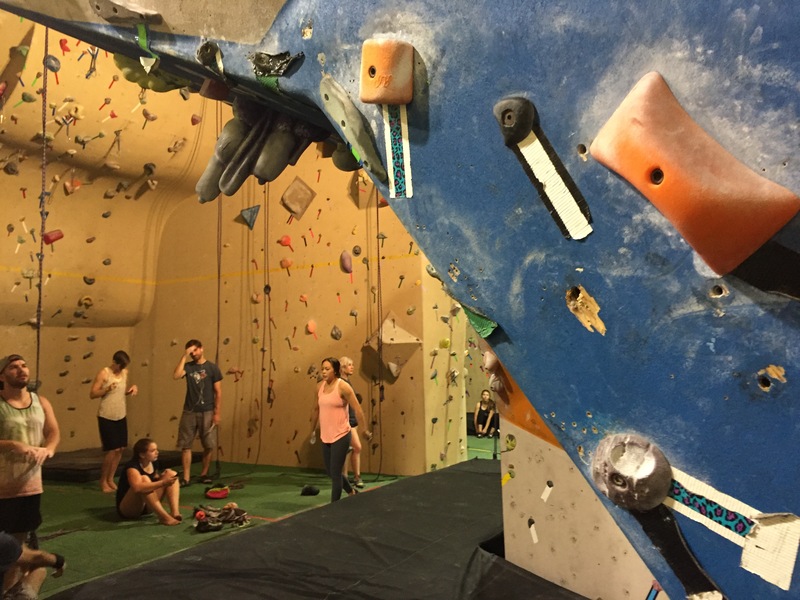 My daughter watched the adults scale the rocks with ease and thought that it would be easy for her to scale the wall like Spiderman. I have to say that watching her tackle the wall was probably the most humbling experience of her life. She couldn’t believe how hard it was, and it was equally hard (however necessary) for me to watch her as she was overwhelmed with disappointment at how hard this sport really was! 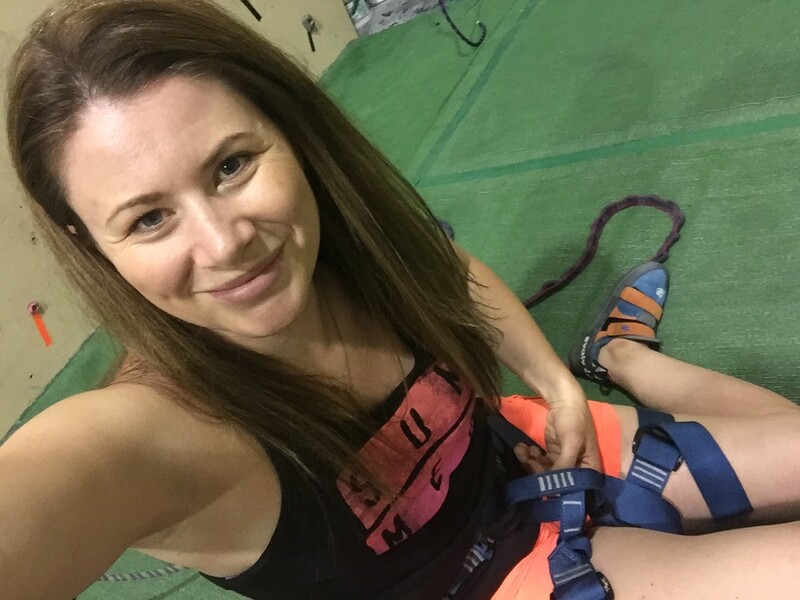 I was really proud of her though as she stuck with it and tried over and over again, challenging herself with different walls to climb, and even tried bouldering (climbing without a harness – allowed under 12 feet). 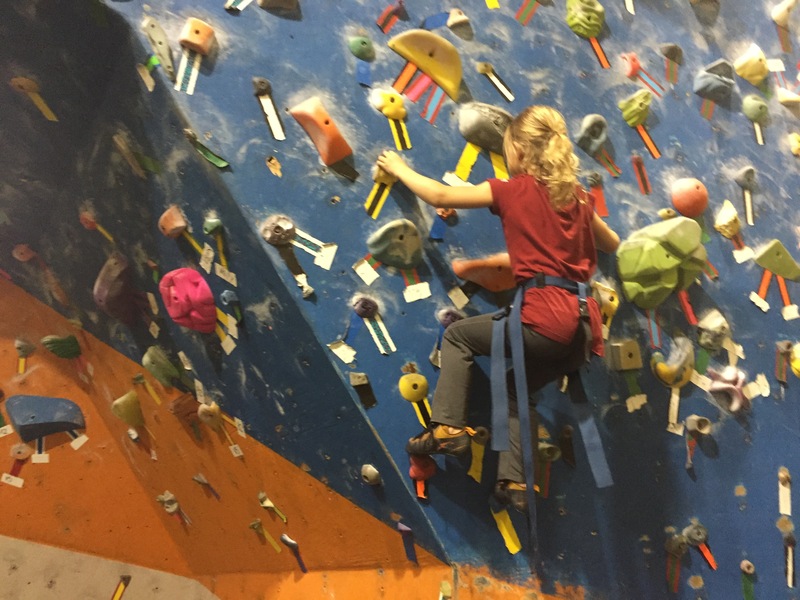 While she never made it to the top of the wall her determination was admirable and I know she’ll go back and try climbing again. My son on the other hand is half Spiderman, half 5 year old boy. 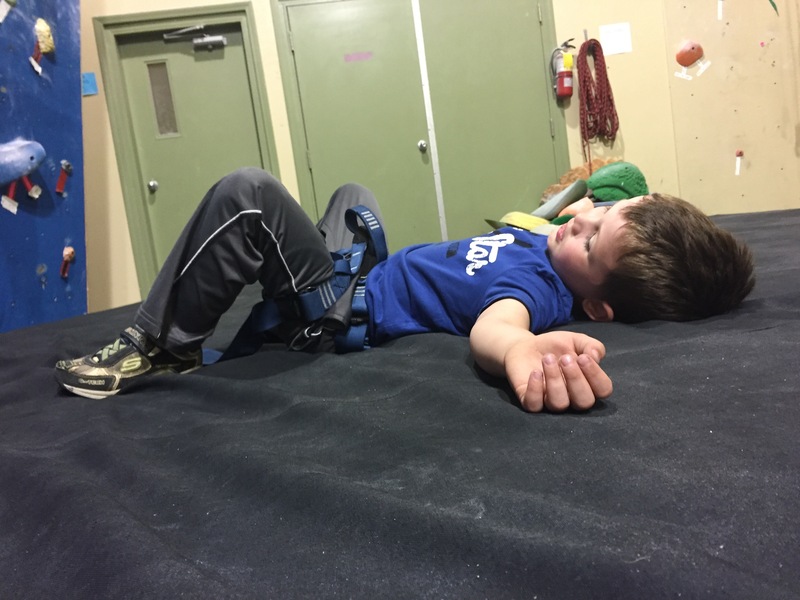 He climbed the walls with ease, even tackling challenging walls where he had to climb while hanging. 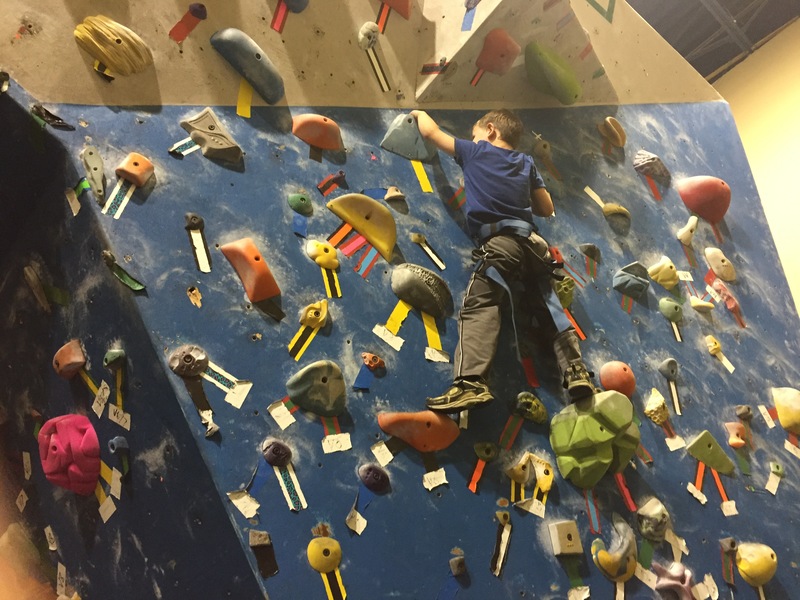 I loved Project Climbing offered us a variety of courses that equally challenged each member of our family. I’m so glad that we planned this as part of our adventure day as it truly was the perfect fit! When our classes were over it was time to head home and I had two very tired children on my hands. Fortunately we were able to jump on the number 2 bus which took us right back to Highstreet and our car. I did learn how to hop off a bus with a sleeping 5 year old on my back… needless to say the day tired him out and he was ready for bed! I’m so glad that we were given the opportunity to #ExploreBCbyBus. 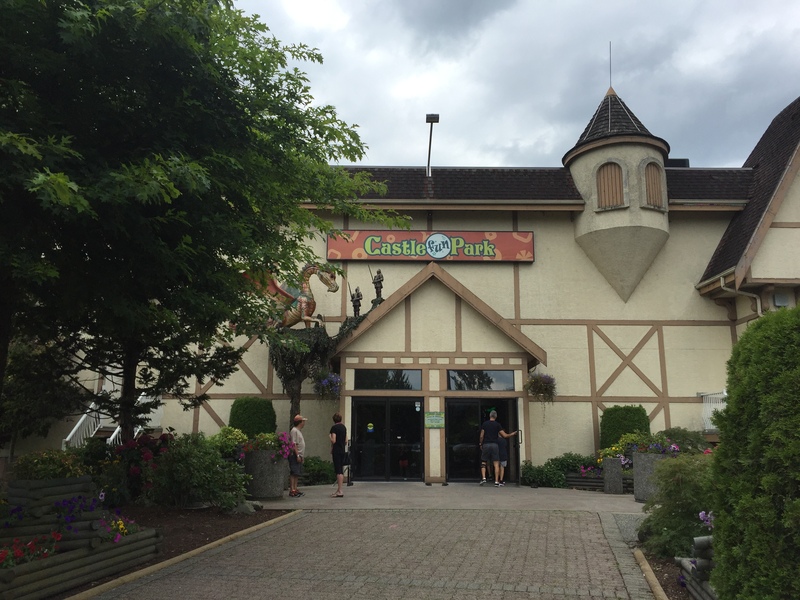 Abbotsford was the perfect local escape and I know that we will back to check out all of the other attractions that they offer! 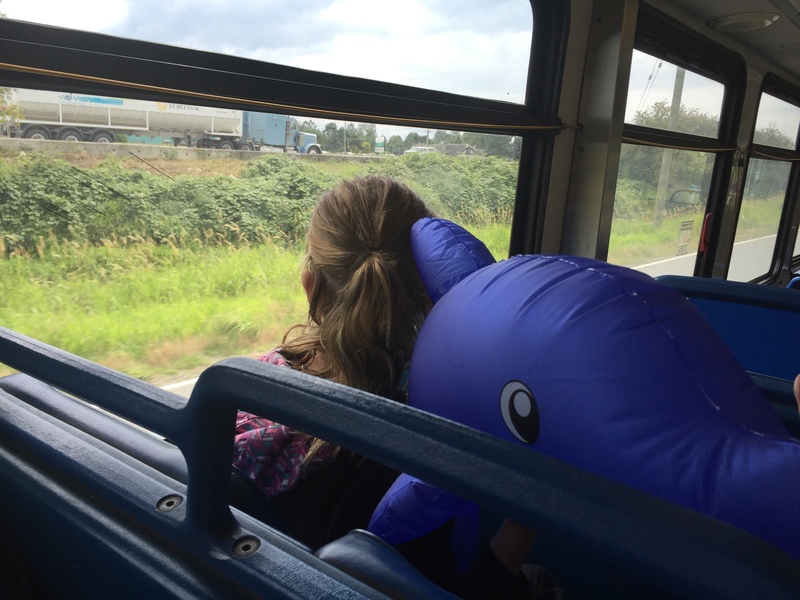 Want to plan your own #ExploreBCbyBus trip? Visit www.explorebcbybus.com to get inspired by their suggested family fun itineraries, or kick things up a notch with their day trips for adventure seekers. Plus, if you share how you’re using BC Transit for your adventures this summer on Facebook, Instagram or Twitter using #ExploreBCbyBus, you’ll be entered to win weekly prizes of month-long bus passes, and a Grand Prize of two year-long bus passes and a stay at the Squamish Outdoor Centre, including whitewater rafting! All details can be found at www.explorebcbybus.com.